Self-preservation is the primary law of nature… and may I add – business. Business continuity plans are an essential part of business, it is the ‘self-preservation’ aspect. To create a business continuity plan, we have to identify internal and external threats to both hard and soft assets of the company – but who can really prepare for an earthquake, violent storms, tsunamis or tornadoes? Who can be ready when such calamities strike? These may not have been immediate concerns before, but we’ve seen Mother Nature strike one too many times to ignore a contingency plan. Cloud computing has 3 service models: Infrastructure as a Service (IaaS), Platform as a Service (PaaS), Software as a Service (SaaS). Businesses can use these 3 services to host all of their “soft” assets such as: data, CRM, servers, tools, software etc. This ensures that, come what weather, virus or other contingency, the company’s data is secure. Though you may ask, what if it was the data centres who experience the “unexpected contingencies”? Great question. They’ve thought of that as well, that’s why data centres have backups of your data, and backups of backups. Unlike the usual in-house IT servers, data centres are all about hardware muscle. Because your entire system is hosted on a remote server with much more muscle (hardware), you can count on its stability compared to an in-house IT. The reason why most systems crash or fail is because their in-house IT doesn’t have the hardware to churn the processes of several users. As your business gets larger, it’ll be hard to keep things on track unless you buy/increase your hardware. So, by leveraging on the hardware muscle of cloud services, your system becomes ‘more’ stable. When we need speed, we need better hardware. Cloud computing services have stacks and columns of servers with ‘super’ capacities. When we avail of, say SaaS, we are letting the servers of the cloud computing company do all the heavy lifting re: processes, software, storage. Compared to their hardware our computers, even if it has an i7 processor, are still mice. When we leverage the capacities and capabilities of these “heavy duty” computers, we can do our work faster because there is no processing happening on our end. 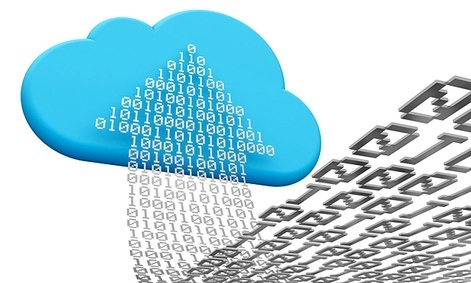 Cloud computing services help you reduce operating costs significantly! For example, you have a graphic design company that functions on 30 computers. For your employees to work, you need a graphic design software – let’s say Photoshop. Imagine the cost of having to purchase 30 licenses for Photoshop in order to install it on every employee’s computer. That’s quite an expense. When you adapt the ‘cloud’, you can install just a single licensed software on the server and then it can be accessed by all of your employees. But you only need one license because technically the software is installed on just one computer (the server). Wherever you are in the world, you can access the cloud. So whether your office is in the U.S., having global branches/reaches is possible – and it’s cheaper. And you won’t have to worry about latency problems – your data travelling from the US to Asia – because they are in the internet, so you just need the right bandwidth. The beauty of cloud computing services, such as that of Netsuite’s CRM or HyperOffice’s collaboration solutions, is that you see data real-time! I’m sure that it is every entrepreneur’s dream to expand and launch their business internationally, as well as to keep their business alive long-term – with cloud computing software that dream ain’t too far to reach. Published at DZone with permission of Pankaj Taneja , DZone MVB. See the original article here.